Can anyone identify these guns? 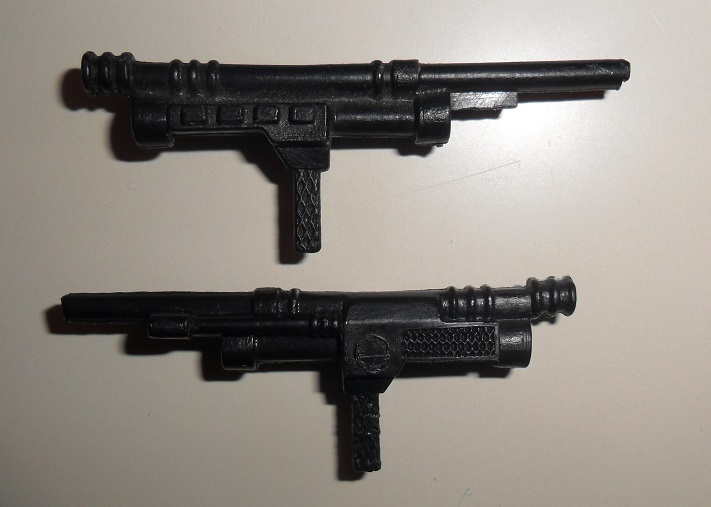 Got these guns in a star wars lot. I know they are not Star Wars but does anyone know where they came from? I've got no idea if it isn't vintage Star Wars. The one on the left belongs to (1992's) Destro, the other is from (1990's) Range Viper. Anyone fancy playing this game again? To whom does this type of weapon belong? Yep. Someone changed Leia's bounty hunter rifles into pistols. Who knows, maybe it was some kid back in the day with a good imagination. Thanks, good news that they're identified, Bad news that someone butchered some boushh staffs. 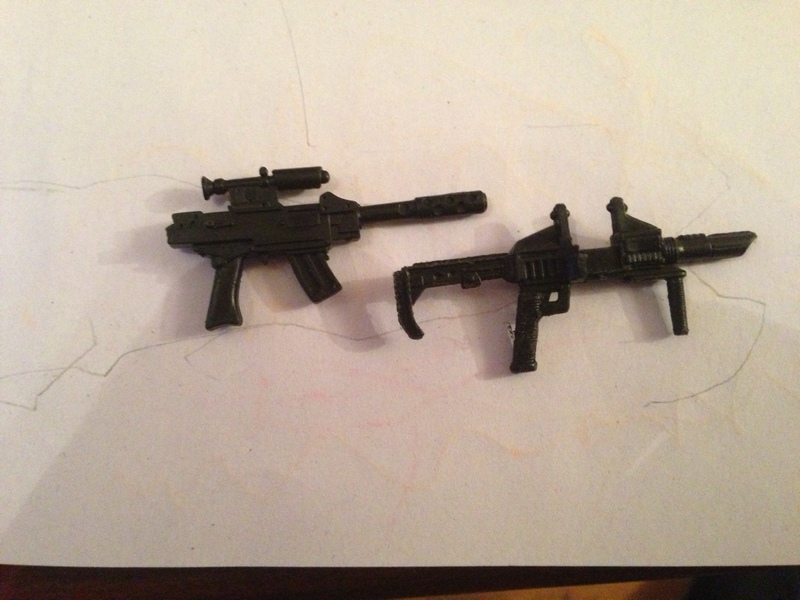 Subject: Re: Can anyone identify these guns? » Anyone identify the maker and designer of this vase - suspect Sklo Borske?